Clarify what an effectively designed and delivered EDI lesson should look like in a classroom. This is one of the most effective ways to build “automaticity” in teaching skills. Speak with an EDI Specialist. Guided by a consultant, clarify misconceptions and develop practical expectations. With administrators participating, help teachers know their site/district is committed to effective instruction. Teachers observe a DataWORKS consultant teaching a pre-written, READY TO TEACH Common Core-EDI lesson. See it. Do it. Master it! Teachers (and administrators, if possible) teach the same lesson to real students in the classroom. 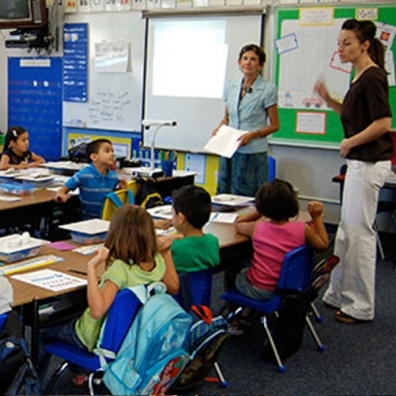 One teacher can do the lesson, or multiple teachers can teach parts of the lesson. The consultant provides constructive, interactive coaching as the lesson is delivered so teachers can immediately refine their strategies. What educators say about us? Speak with an EDI Specialist Today!